I've been blogging/writing/waffling for three years now, and I've learned a lot, actually a rather lot along the way! To say you learn something new, sounds boring, so I'll just go ahead and say I learn loads of things every day! Exciting!? Not really, but knowledgeable - yes! If you've been around on the blogging scene for a while now, I'm sure you'll be aware of the problems that your readers don't see, like the broken links for example? If not, then you really need to go and do a broken link search, because it's just like letting an infection live in your body without getting treated, the infection only gets worse, and so will the problem with your blog! For around three months, I would check my blog for broken links once a fortnight, and I would be left clueless when a post would come up, showing me I had broken links, but there was no links in the post!? 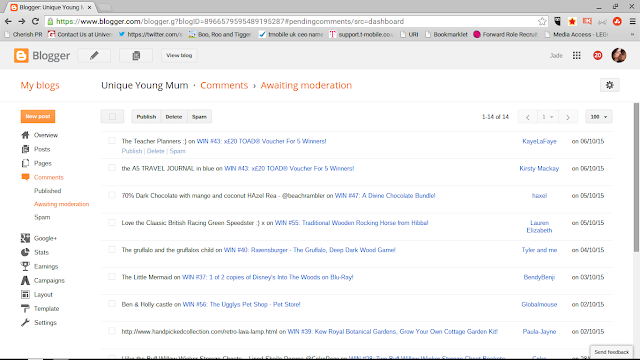 I soon discovered the problems laid in comments left for me on the blog, not all of them of course, but the odd few! After running 60 competitions throughout September, and getting up to 1000 comments a day, I had to be very careful. It was really easy, to just click the box to select them all, but I know, I can't do that to make work easier for myself and to protect my blog as much as I can. The 14 comments, some pictured above, are sat there waiting for approval, but sadly can't be approved due to the broken link that lays within their links. 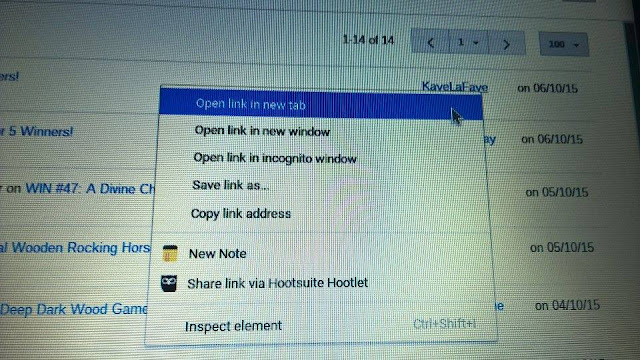 Whenever I receive a comment, I right click on the person's username and open the link in a new tab, like the picture below. It will then bring me to the commenters landing page, and 99% of people are fine to approve, because they have either Google+ profiles, or open blogger profiles, so I accept them. However, when you come to a page like the one below, I can't accept the comments from the user. 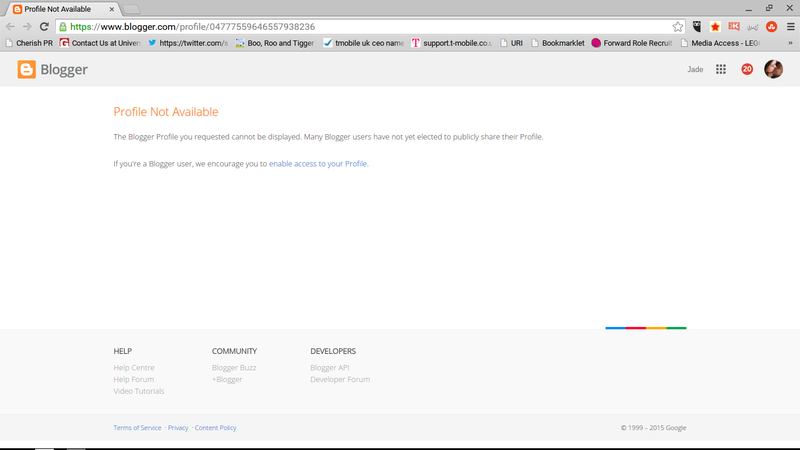 This is because private/closed blogger profiles, for some reason cause you to have a broken link. Like I said, I'm unsure as to why, but I personally believe it's because of Google's bots or something! As for a solution, I don't really have one, apart from doing broken link checks regularly! There are great free ones out there, but they do only search a number of webpages, so it can mean you have to do it a few times before you've done it properly! What I do is click on every commenters profile, before I approve their comment, that way I know what comments to approve for publishing, and what ones not to approve because they'll effect my blog! I hope this helps, as its helped me loads now I know what to do!